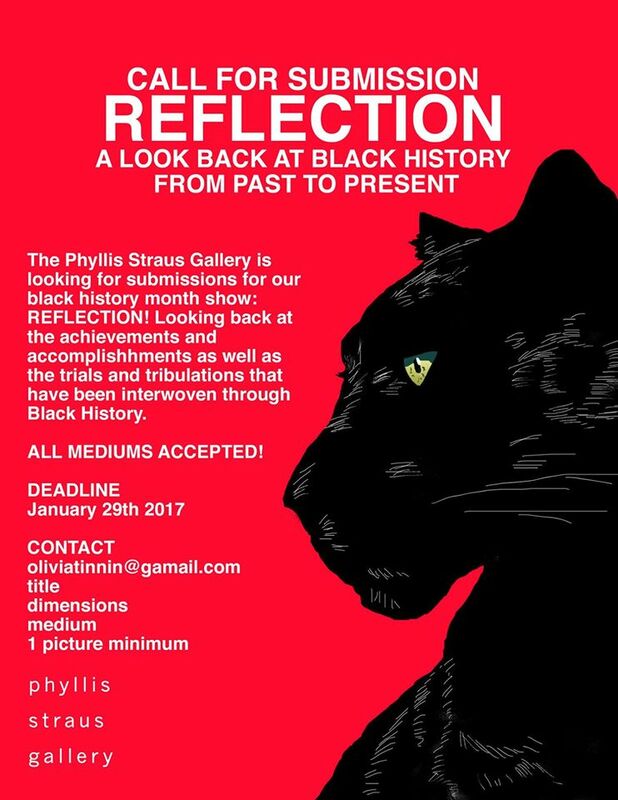 The Phyllis Straus Gallery is currently accepting submissions through January 29, 2017 for REFLECTION! : A Look Back at Black History From Past to Present. The show will look back on the achievements and accomplishments, as well as the trials and tribulations, that have been interwoven throughout Black History. The show will open on February 2, 2017. All mediums are accepted for this show, Please contact oliviatinnin@gmail.com with the title, dimensions. medium and a one picture minimum of the work submitted.